What do you print for a person with minimalist tastes? 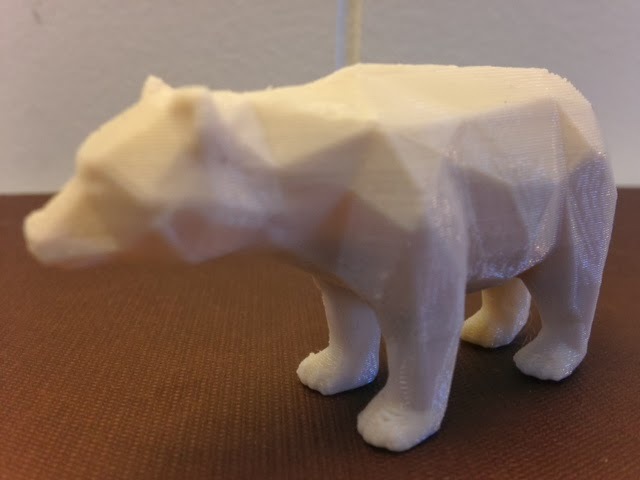 I'm hoping a low-poly bear, like christophecaren's beautiful Bear model on Thingiverse. Settings: MakerWare .3mm/low, with raft and supports. I printed the model upside-down to minimize those supports and then had some minimal cleanup to do on the head and back after removing those supports.